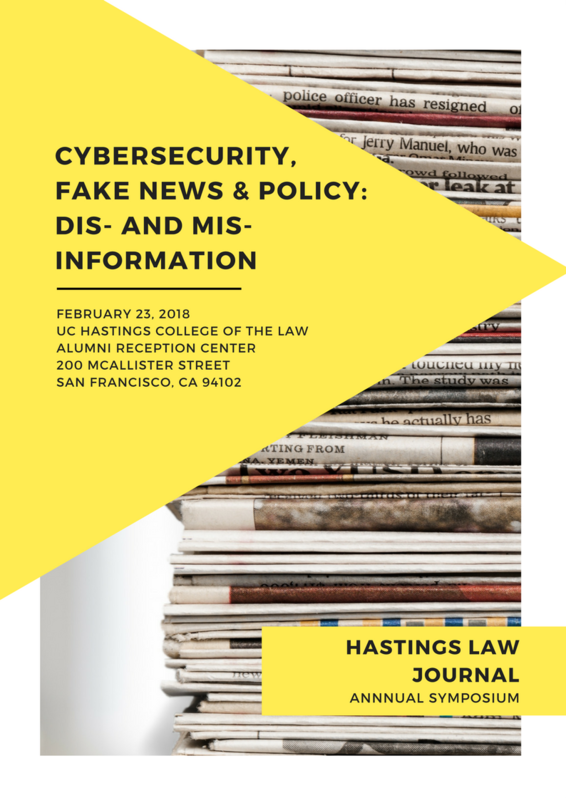 Hastings Law Journal cordially invites all students, faculty, practitioners, and members of the legal community to our annual Spring Symposium. 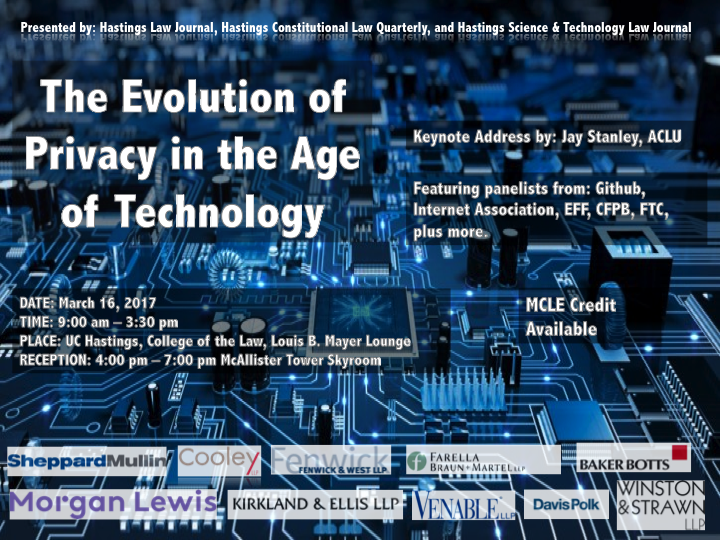 This year’s symposium will focus on the legal issues that surround encryption and decryption. 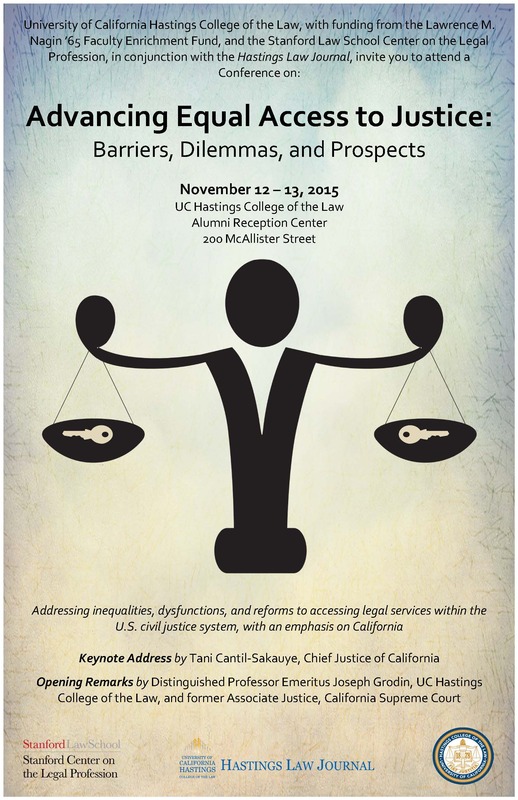 Fall 2015: Advancing Equal Access to Justice: Barriers, Dilemmas, and Prospects. Thirty years after Congress enacted the Sentencing Reform Act of 1984, and ten years after the Supreme Court’s landmark decision in United States v. Booker, many questions remain about our federal sentencing system: how it operates; where it is headed; and the impact it has on the legal community as well as the citizenry as a whole. 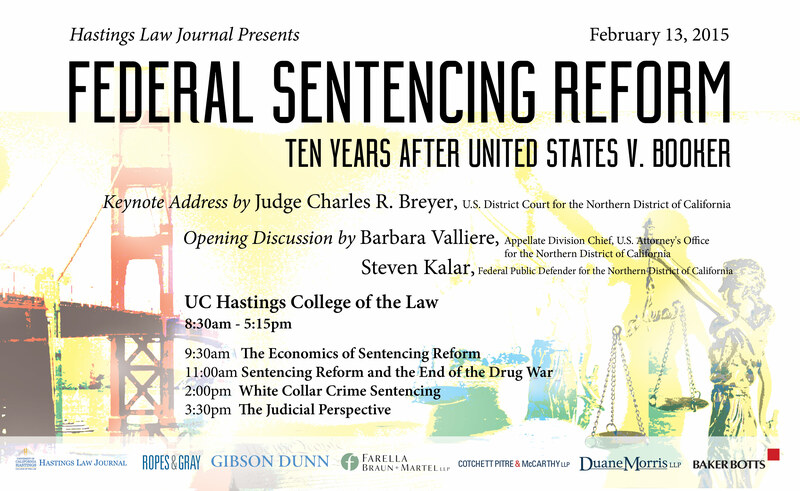 Hastings Law Journal will host a one-day symposium that will examine these issues through a variety of perspectives, from economists and scholars to practitioners and federal judges. In Atlantic Marine Construction Co. v. United States District Court, the U.S. Supreme Court clarified the legal effect and implications of private restrictive forum‐selection clauses (agreements to litigate only in a particular forum). The Court’s opinion makes several changes to venue doctrine. First, the Court held that private forum‐selection clauses do not make an otherwise proper venue improper. Thus, the clauses cannot be enforced under 28 U.S.C. § 1406(a) or via a motion to dismiss for improper venue under Federal Rule of Civil Procedure 12(b)(3). Second, the Court held that restrictive forum‐selection clauses may be enforced through a venue transfer under 28 U.S.C. § 1404(a). When a restrictive forum‐selection clause is at issue, however, courts should presumptively transfer to the party‐selected venue under § 1404(a) unless public factors strongly resist transfer. Third, the Court held that, unlike normal § 1404(a) transfers in which the transferee court applies the law that the transferor court would have applied under the doctrine established in Erie Railroad Co. v. Tompkins, a transferee court receiving a § 1404(a) transfer based on a restrictive forum‐selection clause should apply its own law. 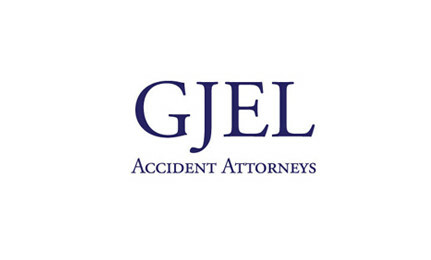 Atlantic Marine thus affects the law of venue, the law of venue transfer, the Erie Doctrine, and the ability of parties to contractually control their litigation. This symposium will consider the effects and implications of Atlantic Marine on the law of venue, Erie, and beyond. 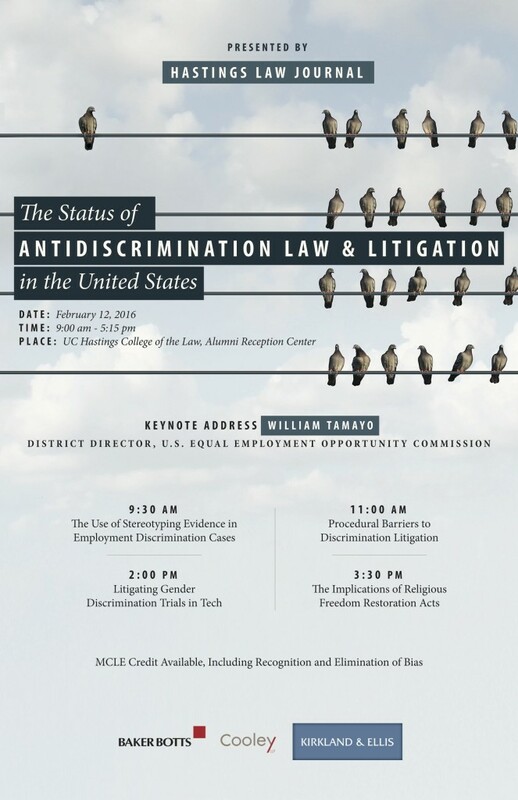 Scholarship associated with the symposium will be published in the April 2015 issue of Hastings Law Journal. In order to ensure that your MCLE credit is recorded, please remember to sign in and out, with your Bar Association number and email address, at the welcome desk. Hastings Law Journal held its Spring 2014, The Legal Dimension of 3D Printing, on Friday, February 21, 2014 at the Hastings Alumni Reception Center. 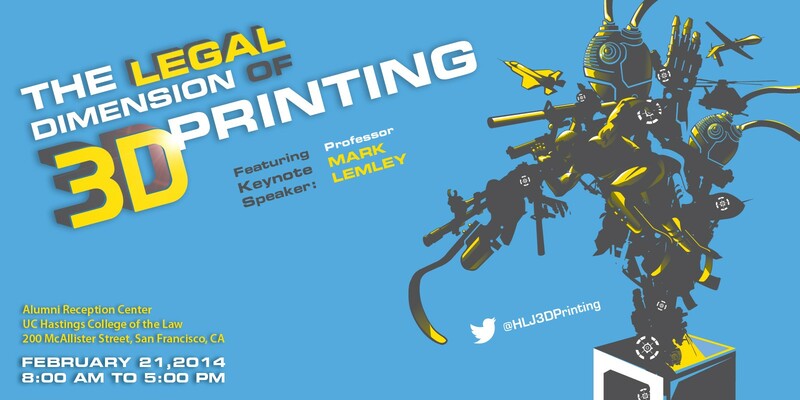 The symposium focused on the array of legal issues, new and old, posed by the wide-availability of 3D printing technology. For example, how will regulatory bodies address printable organs, medical devices, and printable aircraft? 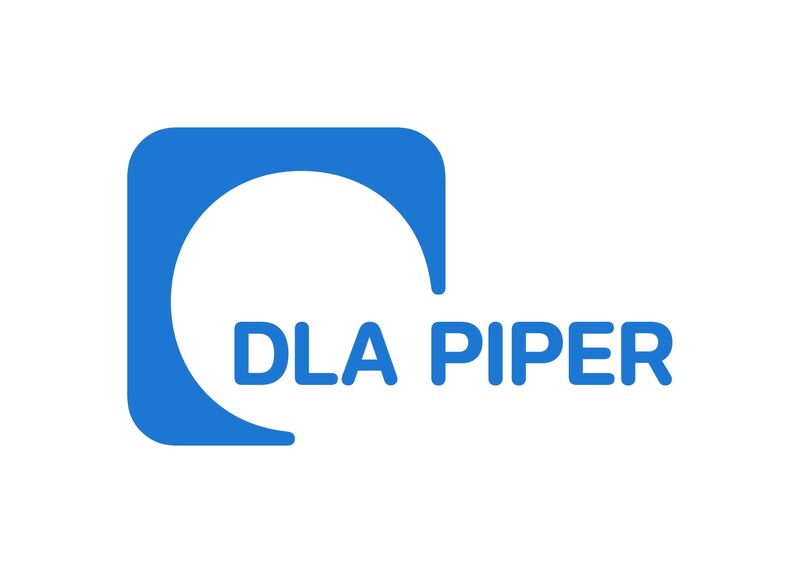 What are the implications for patent and copyright law? The Hastings Law Journal Spring 2013 symposium, From Bench to Society: Law and Ethics at the Frontier of Genomic Technology, was held on Friday, February 8, 2013, on the campus of the University of California – Hastings College of the Law. The symposium was co-sponsored with the UCSF – UC Hastings Consortium. The Hastings Law Journal‘s Spring 2012 Symposium tackled the shifting policy implications of new developments in neuroscience. The symposium, cosponsored with Stanford University, took place over two days: February 10, 2012, at UC Hastings and Februrary 11, 2012, at Stanford University. A series of panels considered the legal and policy implications of new developments in neuroscience technology. The event unfolded along developmental lines, with the first panel discussing possible regulations over prenatal neurological development, continuing through discussions about custody and separation effects on childhood neurological development, and ending the first day considering adolescent brain development and possible changes to criminal law. The second day at Stanford featured panels regarding onset of dementia and determining mental competency and end-of-life decisions. We had a great keynote speaker, Robert Sapolsky, a MacArthur Fellow, and we featured many more interesting neuroscience and legal thinkers. For those of you who could not attend, we have video of this highly topical, fascinating inquiry into where brain technology is leading our laws and our policies.